The only documentation I have been able to find on creating a network dataset involves right clicking on a feature dataset > New > Network Dataset. I have tried using the "Build Network" stand-alone tool, but it will not accept either a polyline or polylineM as an input. 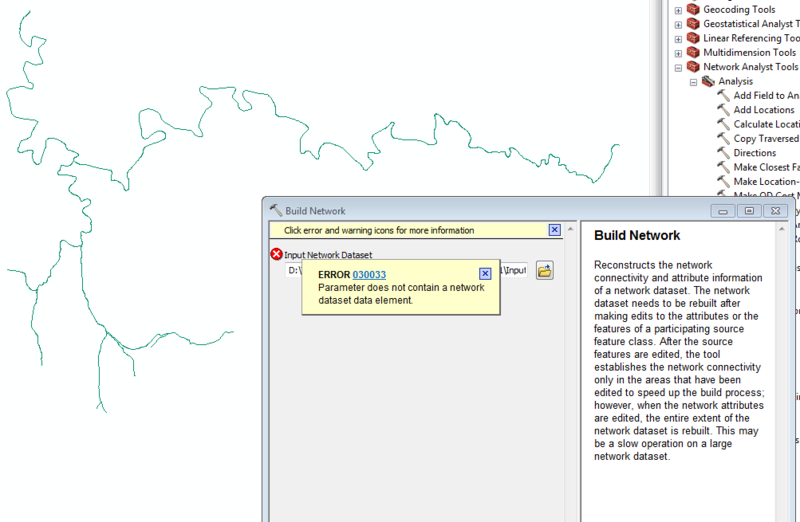 It seems like the "Build Network" tool simply re-builds any pre-existing network dataset. Browse other questions tagged arcgis-desktop modelbuilder network-analyst network-dataset or ask your own question. Generating Service Areas in Network Analyst with Added Roads? Fish passage connectivity analysis using geometric network traces? Adding/removing sources in network dataset using ArcGIS Network Analyst?